The Kingdom Hearts 3 release date is January 25 in Japan and January 29 internationally. However it seems that some enterprising retailers have been selling the game early. 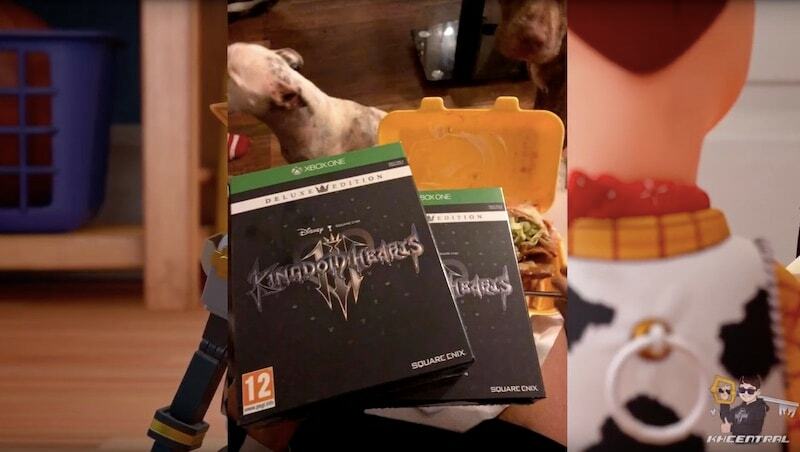 Over the weekend pictures of retail copies of Kingdom Hearts 3 were posted on the series' subreddit. While this appeared to be of the US version of the game, but it seems that certain UK retailers have been selling the game early too what with users getting their Xbox One copies of the game ahead of the Kingdom Hearts 3 release date. It seems widespread enough for spoilers to surface on Twitter and YouTube as well. This follows limited quantities of Kingdom Hearts 3 leaked six weeks prior to release via the Facebook Marketplace. "We're aware that a small portion of Kingdom Hearts 3 has been circulating online before its official release," Kingdom Hearts 3 director Tetsuya Nomura said on Twitter at the time. "We are also aware as to how this has all happened. We're sorry to see this caused concern amongst our fans who are excited for the release." He goes on to ask Kingdom Hearts fans not share any of the videos. "The whole team has been working together since yesterday night (Japan time) to investigate what we can do to better this situation, but first we would like to ask that you do not share these videos," he said. "The game's epilogue and secret movie, which are the biggest spoilers in this game, are planned to be released at a later date just in case, so they will not be shown before the game's release. We want everyone to be able to equally experience the full game after its release, so we ask for your continued support on this matter." This time around however, it doesn't seem like Nomura's words mean much. Kingdom Hearts YouTube channel KH Central reports that spoilers are being shared at a steady clip and has requested fans to keep away from the likes of YouTube and Twitter. Don't expect Indian retailers to break street date for Kingdom Hearts 3 for a variety of reasons. Firstly, the series has never been popular in India and with Resident Evil 2 out around the same time, the focus for most stores would be around fulfilling orders for that game rather than bother much with Kingdom Hearts 3. So if you're a fan of the series in the country, you're better served pre-ordering the game. If it's anything like past Square Enix releases such as the excellent Nier Automata, it will probably be available in limited quantities.